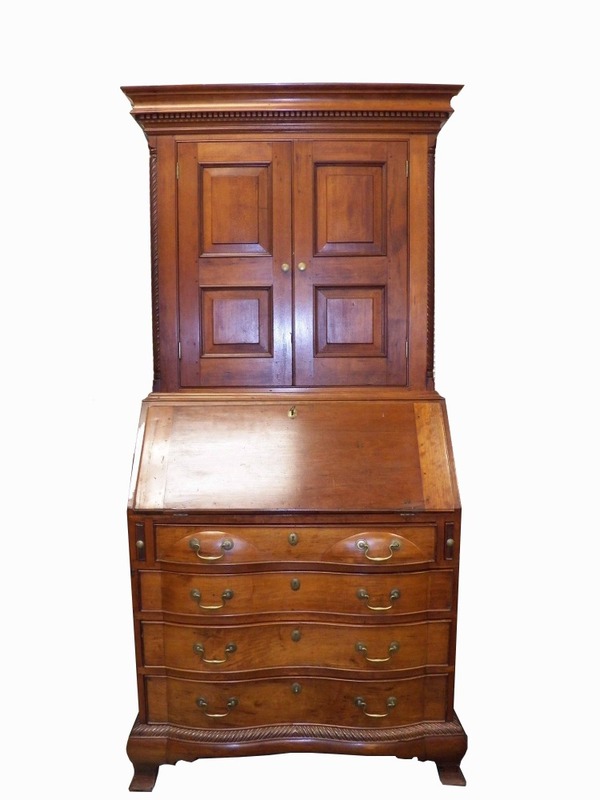 Chippendale blocked reverse serpentine desk bookcase. 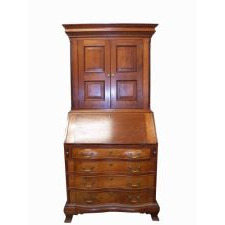 Two part, the top with raised panel doors, bold cove dential molding cornice, quarter columns matching the skirt below four drawer desk on ogee feet. Refinished.